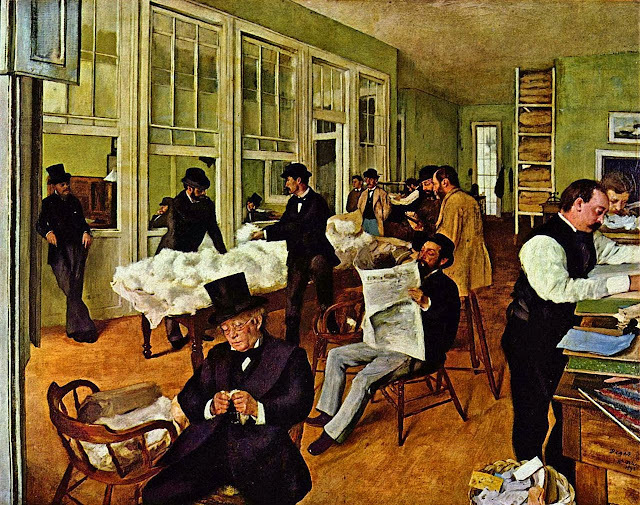 A Cotton Office in New Orleans by Edgar Degas, painted while visiting relatives in the Bayou State. Degas is currently 2-0 in the Infinite Art Tournament. Statehood: 1812 (18th). Seceded 1861; Readmitted 1868. Art Mecca: The Louisiana Museum of Modern Art, north of Copenhagen, is perhaps Denmark's leading fine arts institution, with a collction that spans.... hey, wait a minute! OK, in the American state of Louisiana, it looks like the major player might be the New Orleans Museum of Art. It calls itself "NOMA," which is charming. It has "a magnificent permanent collection of almost 40,000 art objects," if it does say so itself, with "extraordinary strengths in French and American art, photography, glass, and African and Japanese works." It boasts "A World Class Collection in the South." 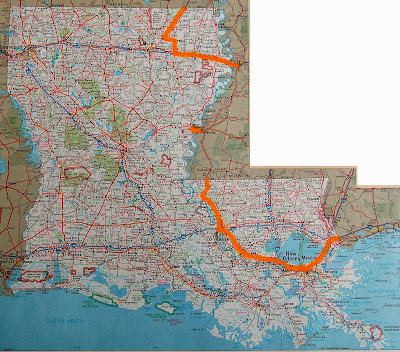 Upriver at Baton Rouge, there's a Louisiana Art and Science Museum that is clearly second fiddle, at best, art-wise. (Of course, it could probably wipe the floor with NOMA in a science museum contest.) Evidence: The museum website brags that its European collection includes work by Charles Amédée-Philippe Vanloo, Jean Victor Bertin, Alexandre-Evariste Fragonard, Jean-Joseph-Elenore-Antoine Ansiaux, and Croatian artist Ivan Meštrović. Alexandre-Evariste, incidentally, was Jean-Honoré Fragonard's son. Of course, most of this collection is probably awesome stuff. But you see my point. Have Admired the Visual Arts In: No. Have Slept Overnight In: No. 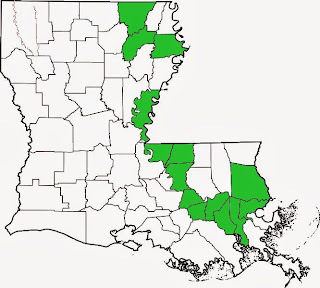 Someday I need to get me some new parishes. 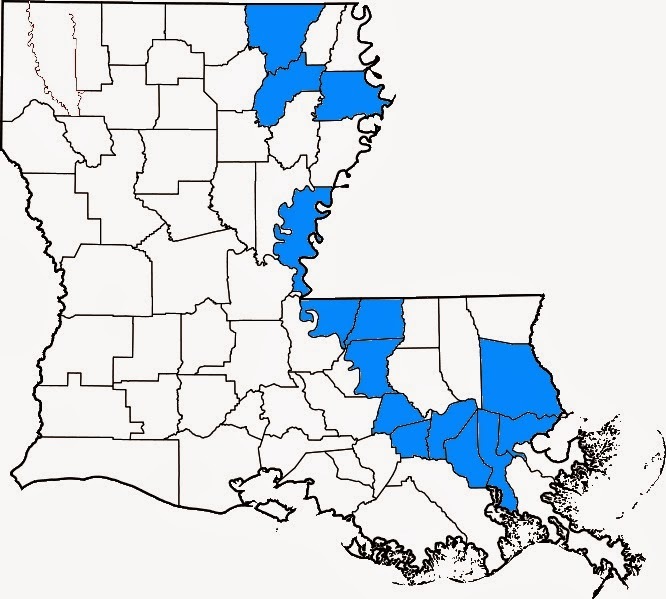 We live in one of those parishes you have already visited, as you know. I assure you that a visit will be a good time, and surely will allow you to gobble up more parishes, visual arts, and -- if you must -- a jog. I've been to the Louisiana, and it was a lovely museum, with a whole room designed to show off its Giacometti figures. mhwitt: If I'm comin', I'm joggin'. Mrs.: Yes, aren't we adorable?